the ‘wss – residence’ project has been created with help from the client’s program and involvements since the first brief to the construction. 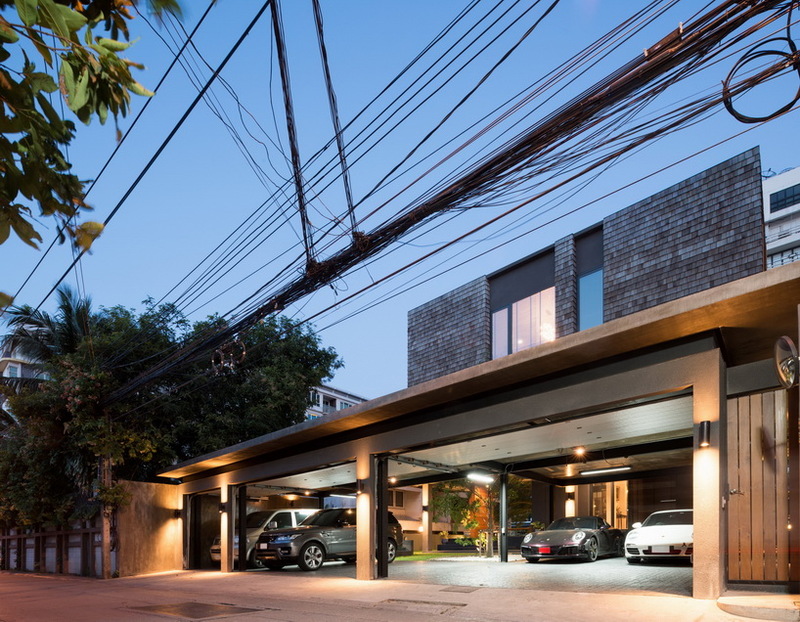 the private house is set in a land plot located in bangkok, thailand, connecting with the family compound which has an open ground lawn. the site is prestigious since it is surrounded with low-rise condominium buildings and there are not many plots of land in the area with private houses. the site is quite narrow and rectangular, and the building efficiently occupies the maximum length of the land. 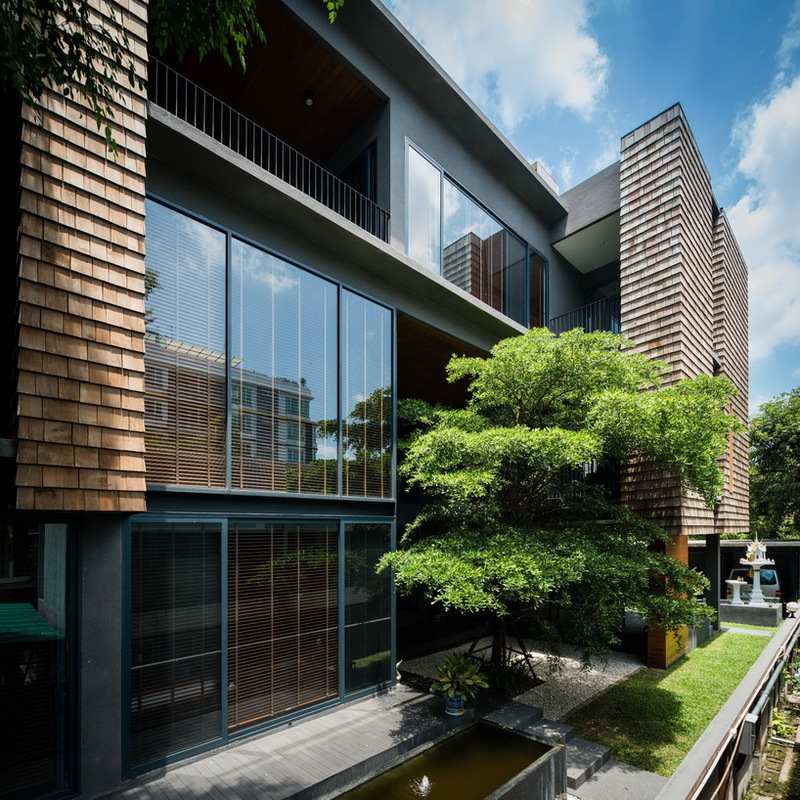 the ‘wss – residence’ has to fit in gently with all the existing houses in the master plan. 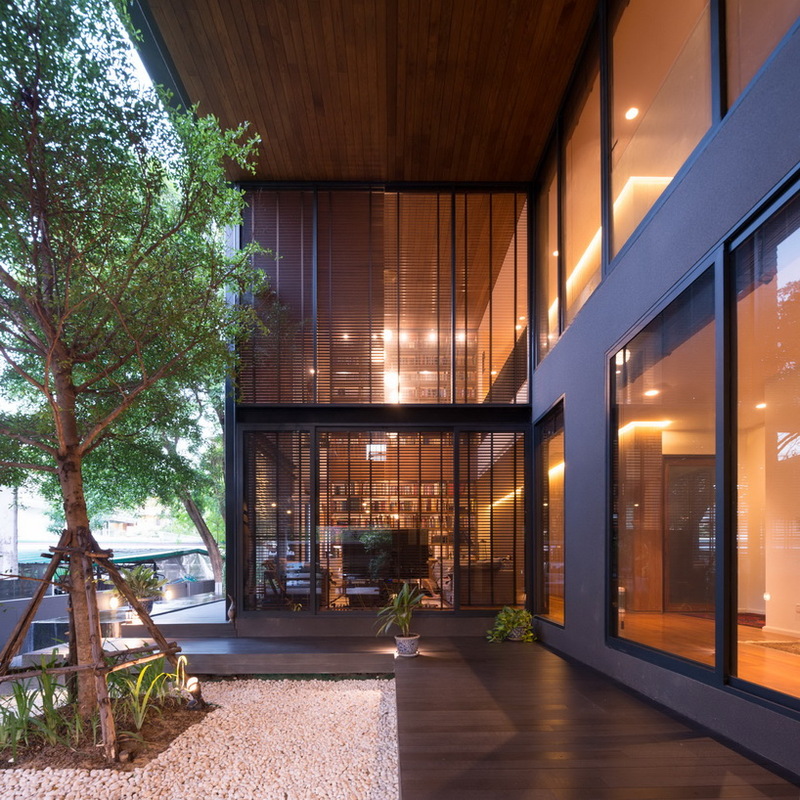 thai based seARCH OFFICE has designed most of the openings facing the courtyard while having a solid wall back to the high building neighbors. 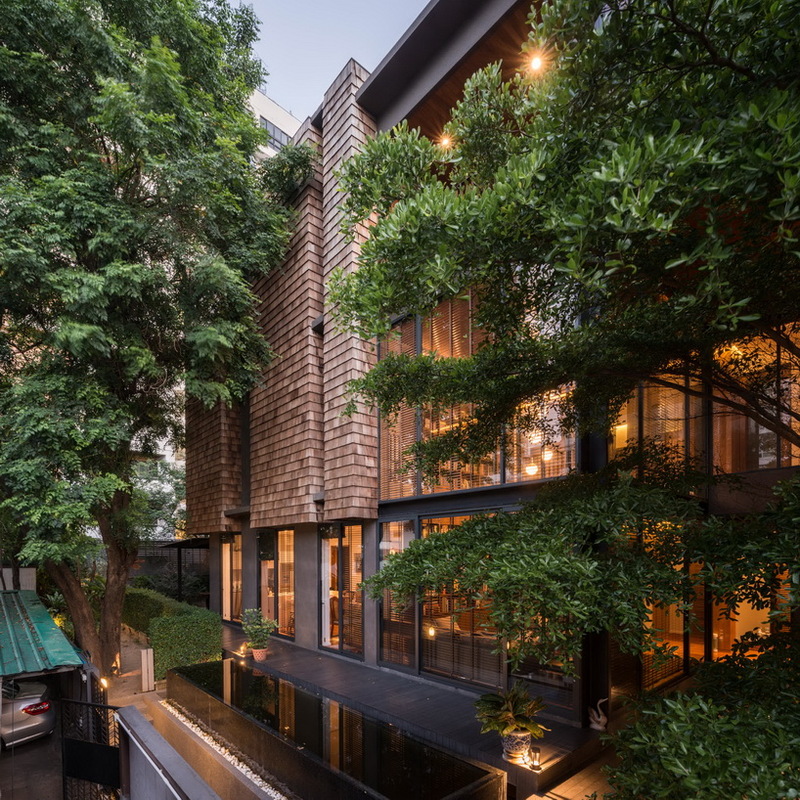 the architecture design of this private house is based on the composition between the solid ‘mass’ and the solid ‘void’. 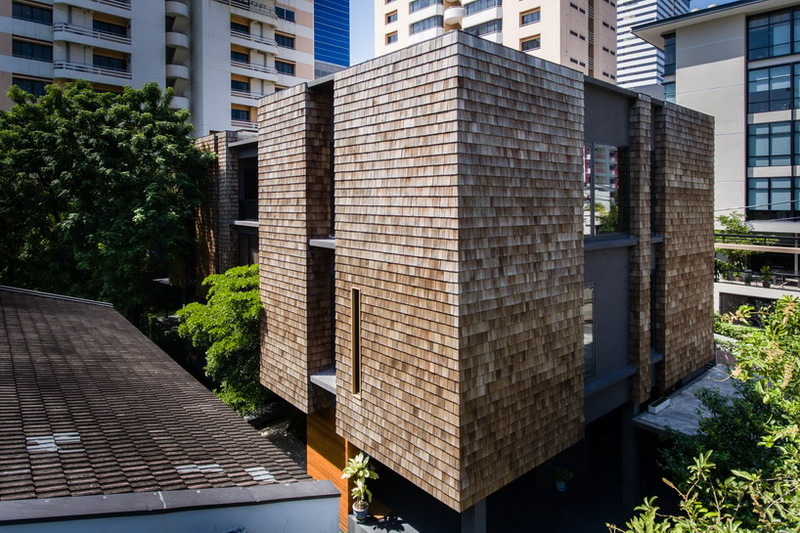 the family members warmly live together in the 3-storey residential building. 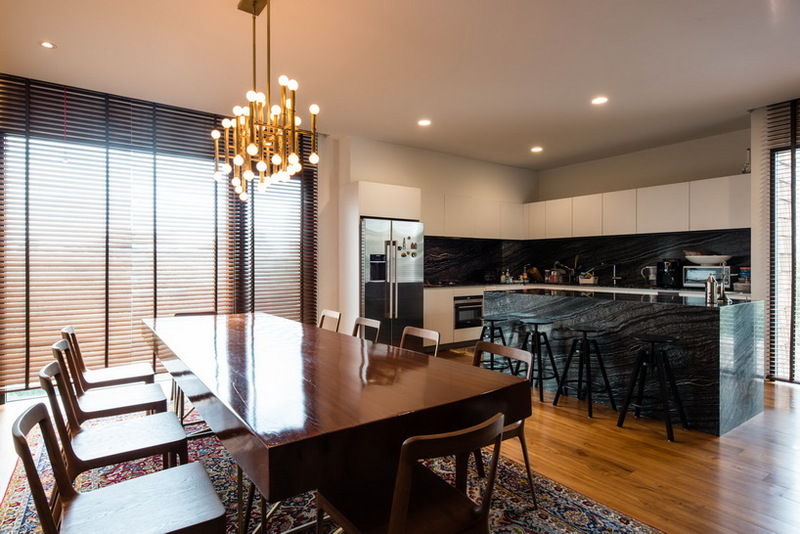 seARCH has planned for each member to have a private and functional space and, at the same time, joined with the family area on the first floor. the house planning is initially planned to have pocket decks sorted in the mass. these are the pool, a wooden porch, and a small garden. 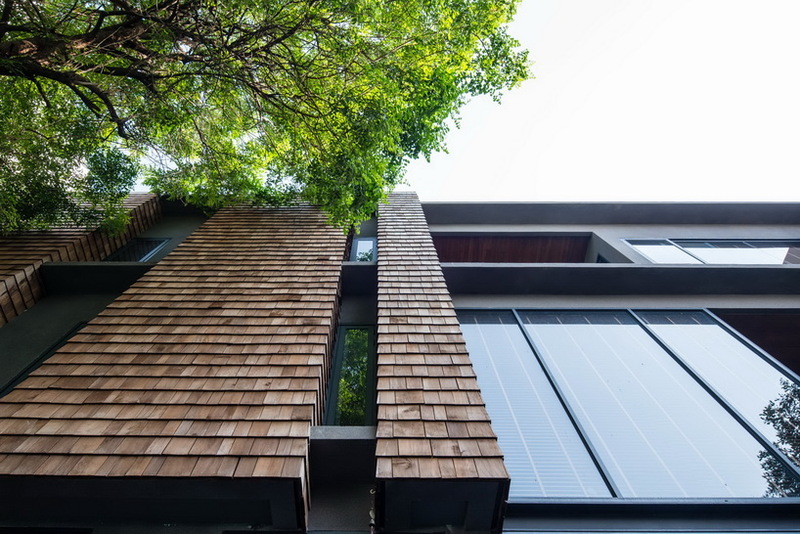 the client appreciates natural ventilation rather than air conditioned one. 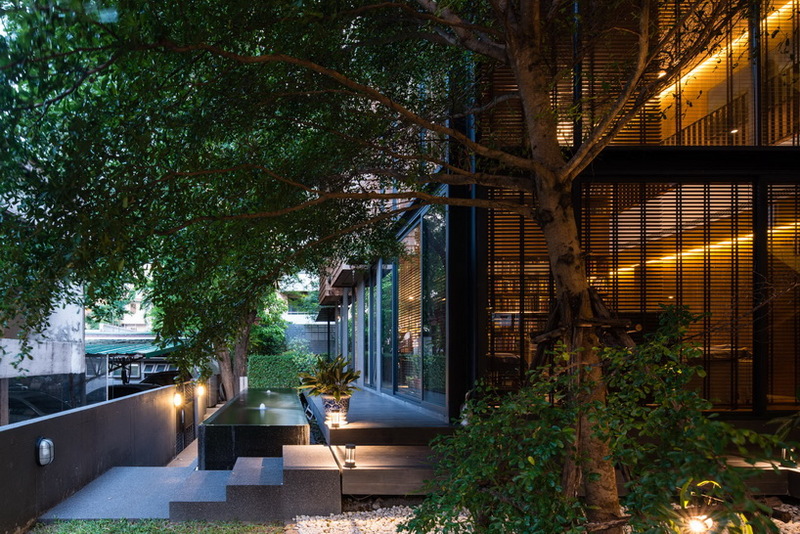 so, the house is carefully design to catch the natural air as much as possible, by orienting the void in such a way that, on a nice day, there is no need for air condition. 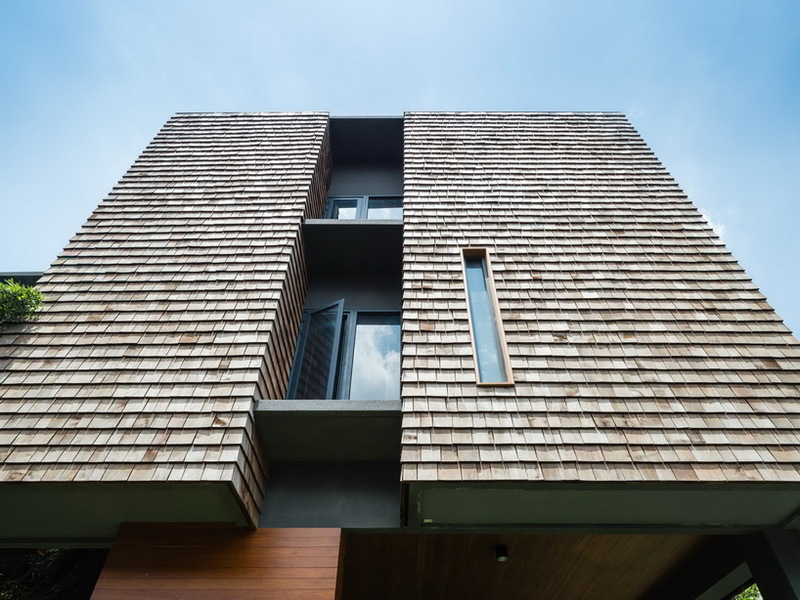 the cedar shingle, normally used for roofing, is reintroduced to perform in a vertical gesture. 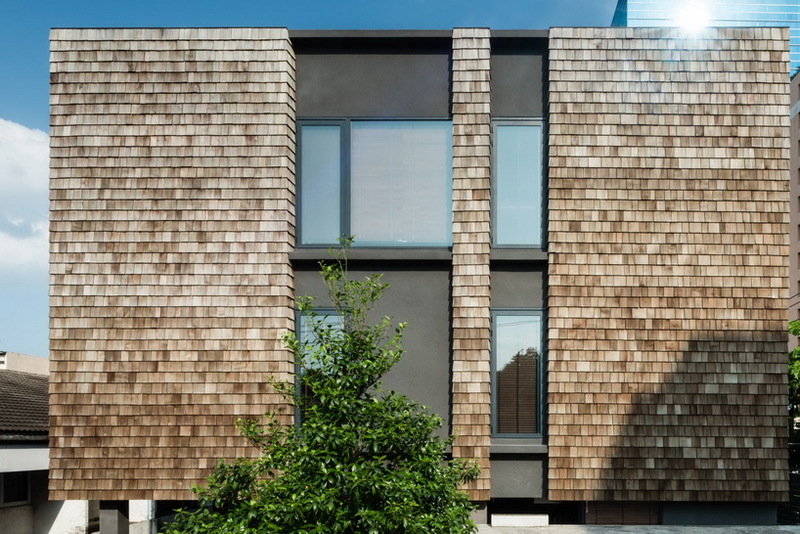 the unique texture of the shingle volume, turns the solid cube masses into a light weight geometry volume. the mass seems to have cedar brown feathered skin. the scale of the space and the material arrangements, make this house seamlessly link to the original family house from the 60’s. 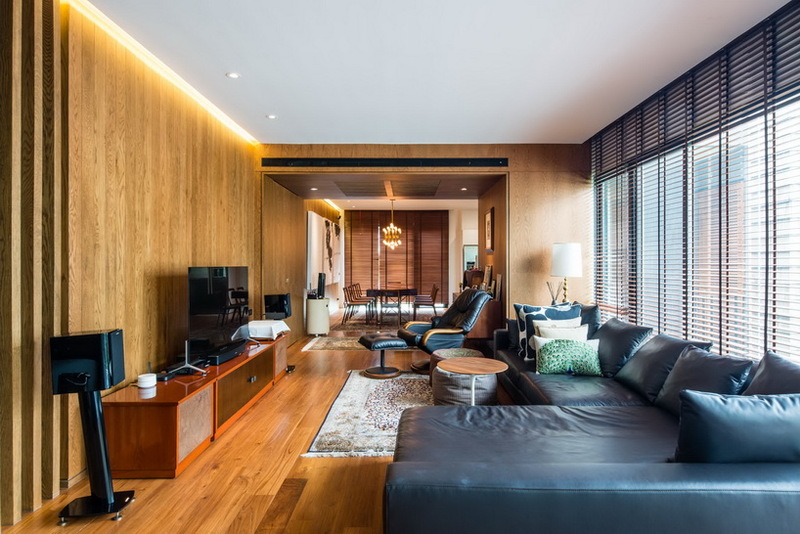 most of the old furniture could fit in effortlessly in seARCH’s ‘wss – residence’. the wooden house pendulum clock is one sample — time suspended in the space of the architecture. 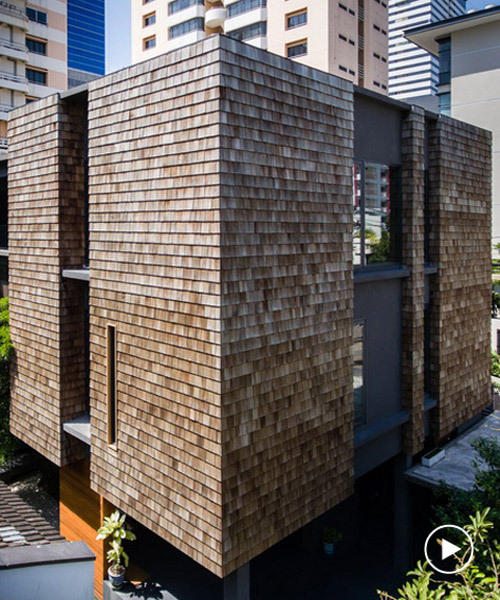 there are elements of the late modernism and tropical architecture in the ingredients as well. maybe, the simple conclusion is, having a nostalgic architecture to live in.